Among the many denier favourites regarding Auschwitz-Birkenau, nothing quite excites them as much as discussing the technical infeasibility of cremating so many bodies. That their arguments, mostly drawn from arch-guru Carlo Mattogno, turn out not to stand up on closer examination is, of course, no surprise. John Zimmerman's essay 'Body Disposal At Auschwitz' pointed out the most egregious flaws, and there are others that this blog will return to. Not least among the flaws in denier arguments is the wilful refusal to acknowledge the copious evidence of open-air cremations, starting in the autumn of 1942 through to the activation of the four new-generation crematoria in the spring of 1943, and resuming in the spring of 1944 during the Hungarian action. Indeed, Carlo Mattogno's comic-book Auschwitz: Open Air Incinerations concentrates solely on the later, 1944, phase of the open-air pits, essentially ignoring the earlier phase. A chance discovery in one of the standard works on Auschwitz, however, has revealed that there were also additional open-air cremations during the summer of 1943, long after the new crematoria were activated. The possibility that the open-air pits may have been in use during 1943 came up recently during a discussion of the Pegov and Pet'ko statements discovered by Sergey, which took place on Axis History Forum. Our initial confusion about the date of the escape of the two Soviet prisoners of war, since resolved, caused some to wonder if in fact Pegov and Pet'ko were not referring to an earlier phase. As it happens, the two POWs were present during the first phase of the Hungarian Action, so must be counted as (indirect) witnesses to the 1944 open-air pits. "Der Massenmord an den Juden geht weiter - vor allem Frauen .... Waehrend der Vergasung von 30 000 Juden aus dem Dabrowa-Gebiet kamen die Krematorien nicht mit dem Verbrennen der Leichen nach, so dass sie auf Scheiterhaufen verbrannt wurden, und die Kinder wurden lebendig ins Feuer geworfen"
The mass murder of the Jews continues - women above all. 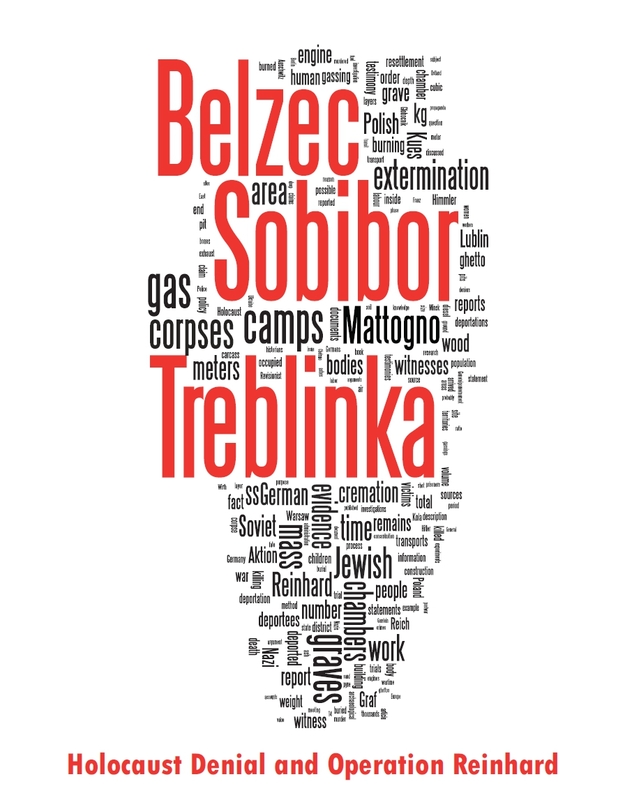 During the gassing of 30,000 Jews from the Dabrowa region, the crematoria could not keep up with the burning of the bodies, so that they were burned on pyres and the children were thrown alive into the fire. Piper cites the 1968 Polish publication Oboz koncentracyjny Oswiecim w swietle akt Delegatury, p.142, so there is no case to argue that this citation has been dredged up to counter 'revisionist' contentions. It is, in fact, 38 years old in its published form. The reference to the Dabrowa region is crystal clear: it dates the respective action to the first week of August 1943, when the ghettos at Sosnowiec (Sosnowitz) and Bedzin (Bendsburg) were emptied. Piper additionally cites published reports of the Police President in Breslau to confirm the number of deportees (Bericht des Polizeipraesidenten von Sosnowitz an den IdO Breslau, 7.8.43, in Biuletyn ZIH, Nr 43-44, 1962, S-113-116). In all, 30,000 Polish Jews were deported from the Regierungsbezirk Kattowitz, also known as Upper East Silesia (Ostoberschlesien) to Auschwitz. Perhaps aware that these documents exist, not even Mattogno tries to dispute the fact that this many were deported to Auschwitz from these towns at that time. In this instance, the figures really do begin to exceed the theoretical capacity of the four new Topf crematoria (nominally, 4,756 bodies per day). On August 1st, five transports arrived, from which 7,823 people were not registered and were gassed. That might have been manageable, had all four crematoria been in working order, and had there been no further transports for the subsequent few days. Yet the transports continued to roll in from Ostoberschlesien. For the succeeding five days, the following breakdown can be calculated: August 2nd, 3429, August 3rd, 6928, August 5th, 3785, August 6th, 2514, for a total of 24,479. In the whole of August 1943, 50,960 Jews arrived on Sondertransporte, of whom 13,537 were selected for labour and registered, while 37,243 were gassed or had died in transit. Nearly two-thirds of all unregistered gassing victims in an entire month were killed in just six days. “Number III [Kr IV] failed completely after a short time and later ceased to be used altogether." Krema IV was activated on June 25, so very likely was out of action by August 1. Krema V was activated on June 26, which places the first week of August almost precisely in the middle of the 'four to six weeks later'. Indeed, the final failure may have been the direct result of the overstrain in the first six days of August. We are further told from other sources that Krema II, the showpiece, was also out of action at this time. Modifying an old Nizkor calculation, it would seem that by the end of the first week of August, no more than 2,000 bodies could have been cremated each day, accepting the Topf calculations as accurate. This would not have posed a bottleneck for the subsequent 24 days of the month, since not more than 2,000 deportees were gassed on any subsequent day, while the downtime in between arriving transports sufficed to cremate the death toll among registered inmates, which ran to at least 2,380 deaths reported to the WVHA, though unreported deaths, especially among the Jewish inmates, would have made this number somewhat higher. Taking all the above considerations into account, somewhere around 12,000 gassing victims killed in the first six days of August 1943 were most probably cremated on the reactivated open-air pits at that time. In his magnum opus, Pressac reinterpreted this as a reference to the resumption of open-air cremation during the Hungarian Action; in fact, it should now be read as also referring to the earlier, August 1943 stop-gap use of the open-air pits. Both common sense as well as the underground report corroborate this interpretation. A re-examination of SS and Sonderkommando testimonies may yet reveal further corroboration to this, though it is more likely to come from the SS than the SKs, since of the 58 known survivors of the Auschwitz-Birkenau Sonderkommandos, the majority arrived only in the spring of 1944. That there were additional open-air cremations in 1943 only further undermines the contentions of deniers regarding the supposed 'impossibility' of such large-scale cremations in the four new crematoria. A subject to which future posts on this blog will, of course, return. Delegatura was not a "shadow government" but the branch of a legitimate, internationally recognized Polish government. The Germans were in charge, alas - the Delegatura was not. However, it had an alternative state apparatus in occupied Poland, not least of which was a large underground press and resistance network. Legitimacy questions, alas, are secondary to the point being made here - power. Roman's commment has nothing to do with a subject. reading throgh the text i do have impression,that autor is missing a point completly. We,defenders of the historical truth , do not deni the fact ,that people were shiftet to labor camps buy force and use as slave labor. Words like : [u]"Not least among the flaws in denier arguments is the wilful refusal to acknowledge the copious evidence of open-air cremations, "[/u] may confuse an amaoeur but who a person,i do concider myself as such) who is familiar with holo-methodology it is just funny. Please show us ONE ,solid document out of this "copius evidence"
During the war the members of polish underground were collecting the information from the area they operated WITHOUT ANY POSIBILITY to verify them.If a serious 'historian" is taking a hearsay as "evidence" he is at the same time discribing his qualities. This -accroding to oficial site of Oswiecim Museum are the "bodies of victims gassed in gas chamber in kream V"
And least but not last: a person who is trying to convince me that you could create a fire with temperatures reaching 1800 -2000 deg C in a pit will have a hard time. Try to burn a lamb chop in a pit at you backyard. This is an old thread, I know, but reading Jerzy's comments, I just couldn't help responding. Why on earth would the SS bother documenting open-air cremations? Hoess himself mentioned that he, along with other SS divisions, destroyed their records, as per Himmler's orders. Therefore, wouldn't asking for "one solid document" like asking for one of those Transitional fossils, knowing full well that out of literally millions of species, only a few fossils survived? Again, the "defenders of historical truth" demonstrate a laughable ignorance of the concept convergence of evidence. 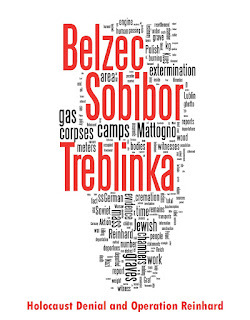 Didn't Nick Terry point out the corroboration between the Delegatura's report and the list of transports to Auschwitz?" And doesn't that same list of transports give the numbers of Jews who were "Specially Treated", i.e. killed? Didn't Nick Terry cite the operating capacity of the crematoria? Didn't he- using the corroboration mentioned above- list the bottlenecks due to the operating limits of the crematoria? Didn't he also point out that Hoess also mentioned that Numbers III and IV suffered repeated breakdowns? Doesn't it follow that, because there were too many bodies for the Crematoria to dispose of, they really, really had to be disposed of via open-air cremations? I'm sure you're a really good "guardian of historical truth", just please, please don't get a job as a detective. I can already guess what the photo you're linking to is. - And least but not last: a person who is trying to convince me that you could create a fire with temperatures reaching 1800 -2000 deg C in a pit will have a hard time. You can also try looking up mass incineration experiments, like the ones done by Drs. Lothes and Profe, quoted on this very blog. You can also try looking up the influence of liquid fat as a fuel, quoted on this very blog by Sergey Romanov. Instead of making an idiot out of yourself with an analogy like this, you can actually look up experiments on mass-cremations. But then, those wouldn't support your contention now, would they?